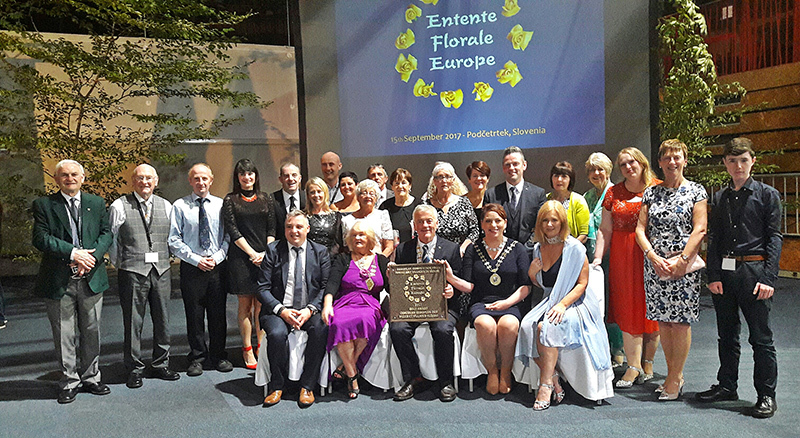 The picture perfect village of Glaslough put Co. Monaghan firmly on the European map on Friday, 15th September, as nineteen delegates from the village, accompanied by staff and Cathaoirligh from Monaghan County Council, descended on the spa resort town of Podčetrtek, Slovenia for the announcement of the results of this year’s prestigious Entente Florale Europe awards, and came home with a Gold Award, the highest accolade in the competition. The competition is run by the European Association for Flowers and Landscape, which is an international non-profit association, which aims to promote social and cultural development to enhance Horticulture, Tourism and Environment. They do this by encouraging actions that foster a better quality of life for urban dwellers, and their main tool for so doing is the annual Entente Florale Europe competition, which is run in 9 countries. Participating towns and villages are visited by an international Jury during the summer, awarding marks against set criteria. Depending on the marks awarded, each participating village or town is then awarded either a bronze, silver, or gold merit, and given a rather substantial plaque to display in their town. 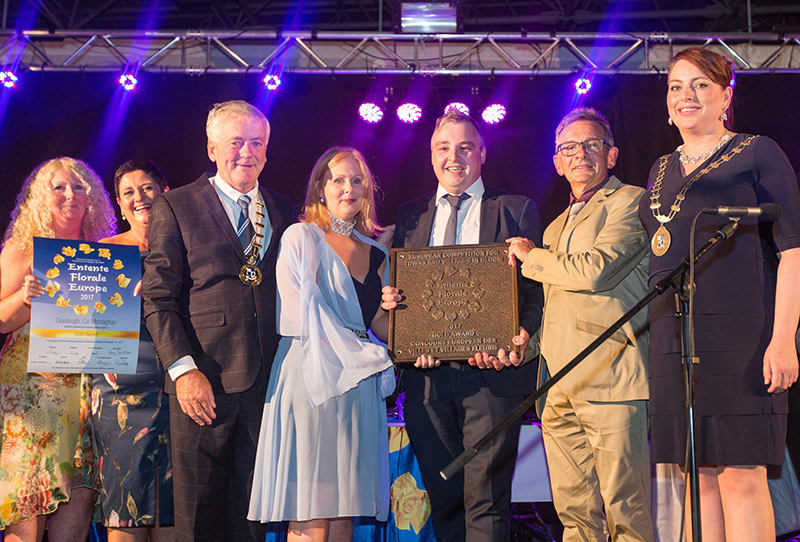 Ireland’s entries are nominated by the National Tidy Towns unit in the Dept of Environment each year, with only two towns or villages representing any participating country. Abbeyleix in Co. Laois, Ireland’s other representative, was awarded a Silver merit, and won the President’s Award for Biodiversity for their wonderful bog conservation work.